Immediately following the concert, all students, parents and faculty/staff join together with President Joe Manickam to enjoy refreshments and offer best wishes to the 2019 graduates and their families. Informal come and go. A celebration of our aviation graduates, students and new bachelor’sdegree program. Informal come and go with a short program at 3 p.m. Featuring a themed collection of scenes and monologues performed by the spring semester Acting I & II classes. Doors open at 3:45 p.m. and close at 4 p.m.
Stanley W. Green, Goshen Ind., executive director for Mennonite Mission Network (MMN), will present the commencement address. Early arrival is suggested as seating is limited. No tickets required. No tripods allowed during the ceremony. 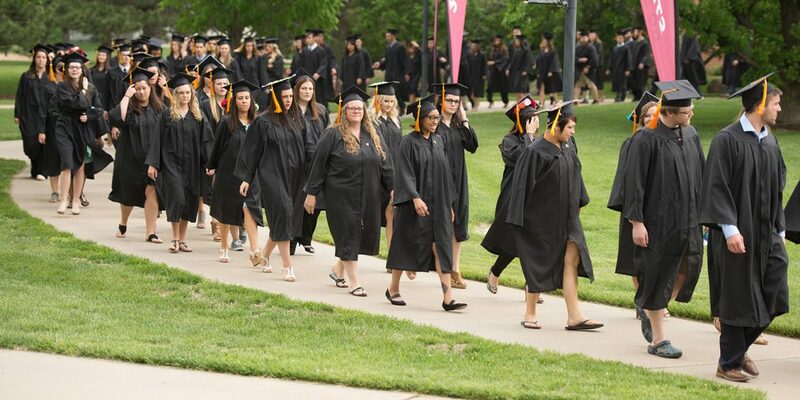 The service will be live streamed at hesston.edu/commencement-webcast. *DVDs of Associate Degree Commencement Ceremony, Bachelor of Science in Nursing Commencement & Pinning Ceremony, Disaster Management Service and all weekend music recitals and concerts are available through the college’s Media Services Office. Call 620-327-8243 or email garyo@hesston.edu to order your copy ($10 each, includes shipping and handling). Friesen Center Gallery and showcases: paintings, drawings, design, graphic design, photography, ceramics and sculpture produced by students during the 2018-19 school year, including a special display of artwork by graduating sophomores. Open 9 a.m. to 4 p.m. The Bookstore is located in Erb Hall. Friday – 9 a.m. to 4 p.m.